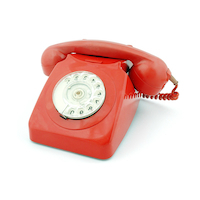 Our phone line is staffed by friendly tutors, so if you need help or advice, give us a ring! We’re only too happy to help. Want us to find a tutor for you? We're able to find and recommend a suitable tutor to you through our Premium Service. The one-off fee for this service is currently $60. You'll only be charged once you've had a happy first lesson with one of the tutors we recommend – if you're not satisfied, you won't have to pay. Contact us to get started. Or feel free to send us a quick message using the box below. We'll be in touch – if you don't see a reply in your inbox, be sure to check your spam folder. We've also sent a copy of your message to your email address. Having problems? Head to 'Account Recovery' to fix things. If you're locked out of your account, or something's not quite working for you, contact us and we'll try to sort it out for you.